Pharmacy is a career that requires a sound educational background in math and science as well as good communication and social skills. Pharmacy programs vary from college to college, but all pharmacy schools in the nation now only offer a Doctor of Pharmacy (Pharm. D.) degree. This type of program usually requires at least two years of pre-pharmacy undergraduate study and four years of professional education in the actual pharmacy program. Some pharmacy schools might require additional coursework prior to admission (example here), which make it necessary to do three or four years of pre-pharmacy coursework. 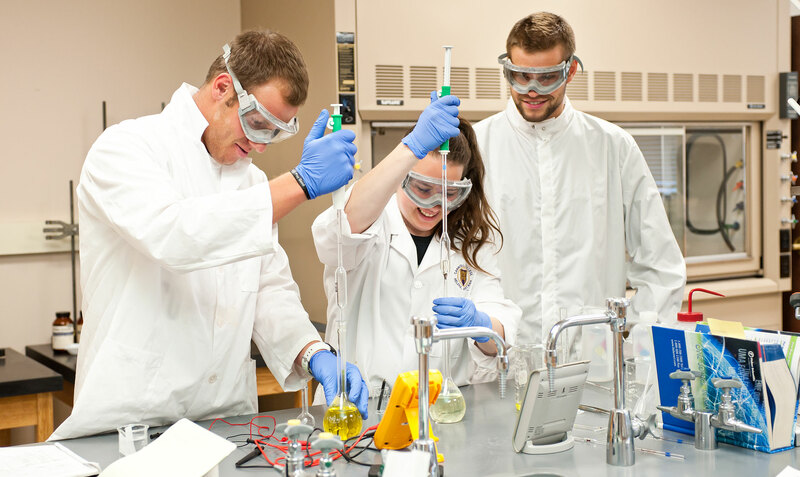 Most students from Montana apply to the Skaggs School of Pharmacy at the University of Montana. The website for the American Association of Colleges of Pharmacy (AACP) is an excellent resource on educational and career opportunities in pharmacy and provides links to the pharmacy web pages for every U.S. school of pharmacy. Successful applicant profiles, which indicate the number of applications received, number of admitted students, demographic information, average GPA, and other information, are available on pharmacy school web sites. See the profile for the University of Montana (UM). A standardized test such as the PCAT (or the GRE in a few cases) may also be required for admission. The subject areas of the PCAT are biology, chemistry, quantitative ability, reading comprehension, writing and verbal ability. The test is now computer-based and is given in the summer fall and winter. UM requires the PCAT test, and for admission to the 2018 entering class, the exam must be compiled by the last 2017 testing dates (shown below). The average score of admitted UM applicants in 2016 was at the 62nd percentile. For more information, visit their website at http://pcatweb.info. Academic performance in the required courses is important, and students should have a minimum GPA of 3.4 to have a good likelihood of admission. In 2017, the incoming students at UM had an average GPA of 3.30 in the required prerequisite courses. Most of the pharmacy schools in the Northwest U.S. reported that a significant number of their students admitted in 2017 had completed three years of coursework or received a bachelor's degree. Some pharmacy schools actually require prior completion of a bachelor’s degree. In contrast, the Skaggs School of Pharmacy at the University of Montana reported that 67% of their admitted students had no prior degree.